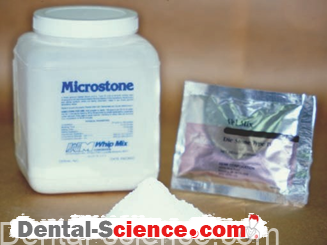 – Addition silicones are the most popular type of elastomeric impression material, especially for crown and bridge impressions. – They are clean and do not have an unpleasant taste or smell. 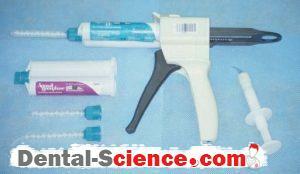 – They are the most accurate, stable, and expensive impression materials. – The reactive group is a carbon–carbon double bond (C=C), which is called a vinyl group. – Polymerization occurs by way of free radicals and addition polymerization. – Polymerization involves chain lengthening and cross-linking to a stable rubber material. 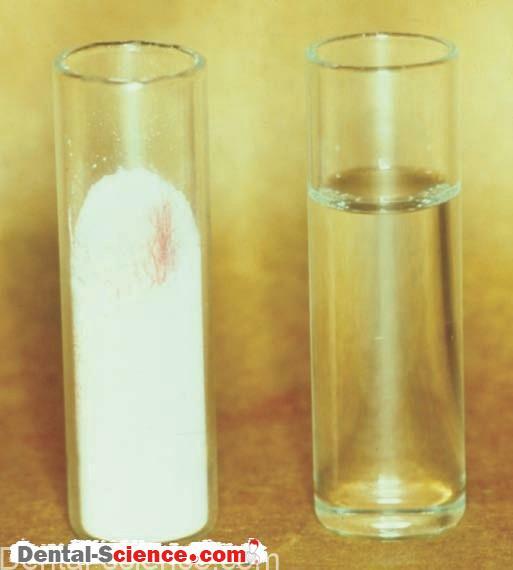 – No evaporation of a reaction by-product occurs because no by-product is formed. – The material supplied by the manufacturer is composed of short silicone rubber molecules with several reactive groups on each molecule. – Fillers are added (to obtain the proper viscosity) along with a “catalyst,” which functions as an activator. – Manufacturers produce addition silicone materials in as many as five viscosities: light body, medium body, heavy body, monophase, and putty. – Each viscosity comes in the form of two different-colored pastes. 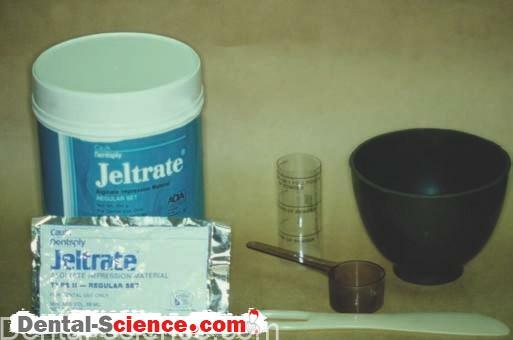 – The pastes (except for putty) are mixed in the same manner as polysulfide materials. 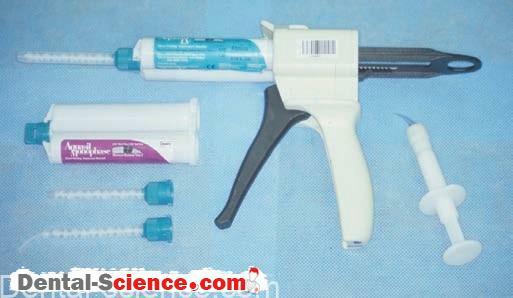 – Addition silicones are also supplied in double-barreled cartridges for use in an automix gun. – The auto mix gun forces the two pastes through a tip, which contains a spiral-shaped “baffle. – In the tip, the baffle causes the material to swirl around and flow in a turbulent manner that mixes the two pastes together. – A second, smaller tip may be added to the main tip; this second tip is designed to dispense the impression material intraorally. 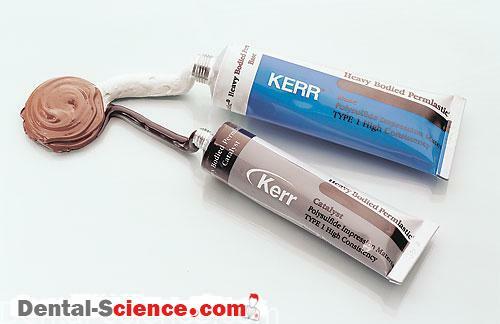 – Putty is used in combination with a low-viscosity material. – Putty fills the majority of the tray. 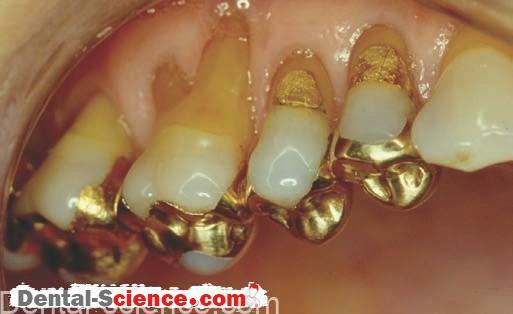 – It is covered by a low-viscosity material in the tray, or the low-viscosity material is injected around the teeth of interest. 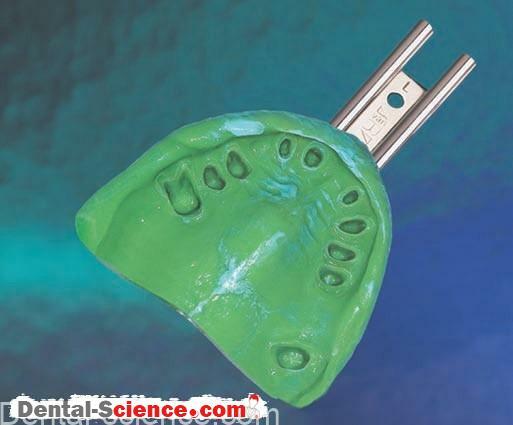 – Putty’s high viscosity forces the lower-viscosity materials around the teeth of interest. – Kneading the two colored materials together with the fingers mixes impression putty. – The palms of the hands should not be used because the material will be slightly heated by the clinician’s body (hand) temperature. – Polymerization is then accelerated, and working time is decreased. – Also, latex gloves must not be worn when mixing addition silicone putties. – Sulfur in the latex material inhibits the polymerization reaction; therefore, the material may not set. – Instead, vinyl gloves should be worn over hands that have been washed with soap and water. 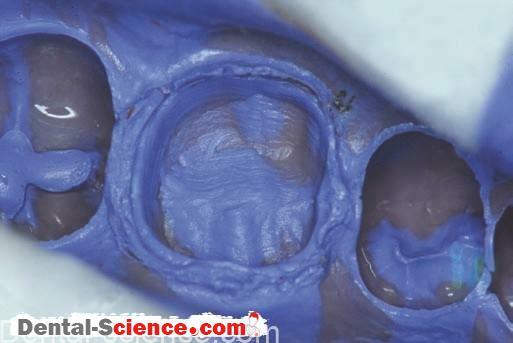 – Impression putty typically sets faster than light-, medium-, and heavy-body materials. – Working with two materials that set at different rates may be difficult. – A variety of errors can occur when the two materials set at different times. recommended regardless of the material. – Such procedures should follow the manufacturer’s directions. 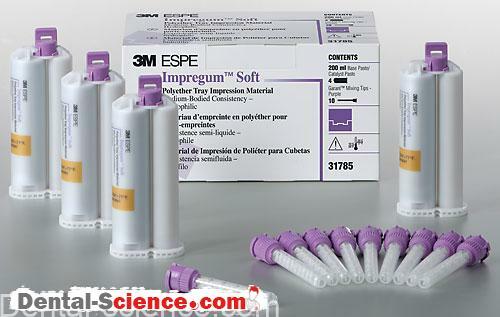 – Current addition silicone impression materials have surfactants added to make pouring the model easier. – Wetting is increased, and the likelihood of bubbles is decreased. easier; however, such claims are without basis. – With some addition silicone materials: if the components are not formulated in the proper ratio or with the proper purity, hydrogen gas is produced by a secondary reaction. – If such a material is poured too quickly, very tiny bubbles of hydrogen form at the interface of the impression material and the model material. Small bubbles on the gypsum cast are the result. – Because disinfecting an impression takes from 10 to 30 minutes, hydrogen gas bubbles are less of a problem after such a delay. so addition silicone impressions are often sent to a commercial dental laboratory and poured there-even if the impression is shipped to a dental laboratory across the country. – When the impression gets to the lab, sufficient time has passed for the hydrogen gas to have dissipated.